This light and airy necklace almost looks as though it's floating on air. 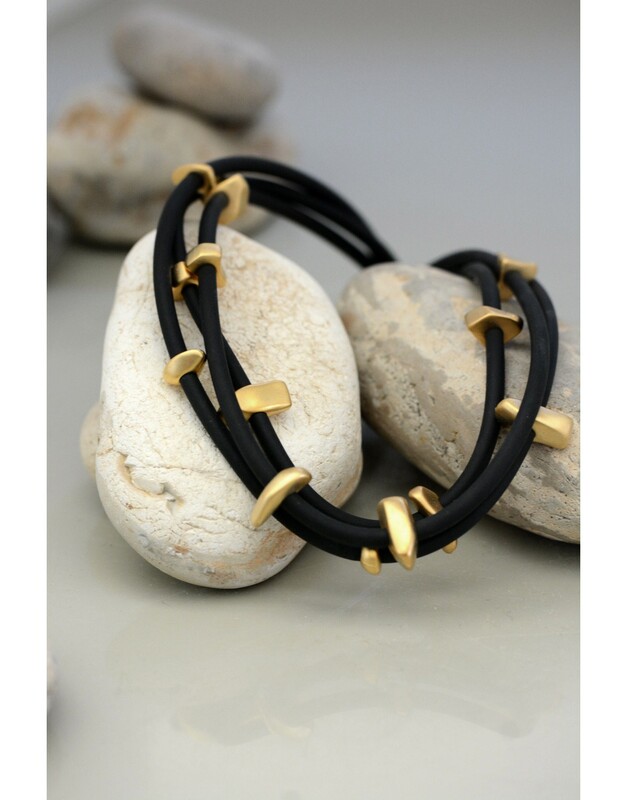 This elegant piece is crafted from matte gold color plated metal stones and durable black rubber. This short necklace is skillfully made from metal stones scattered on black rubber. 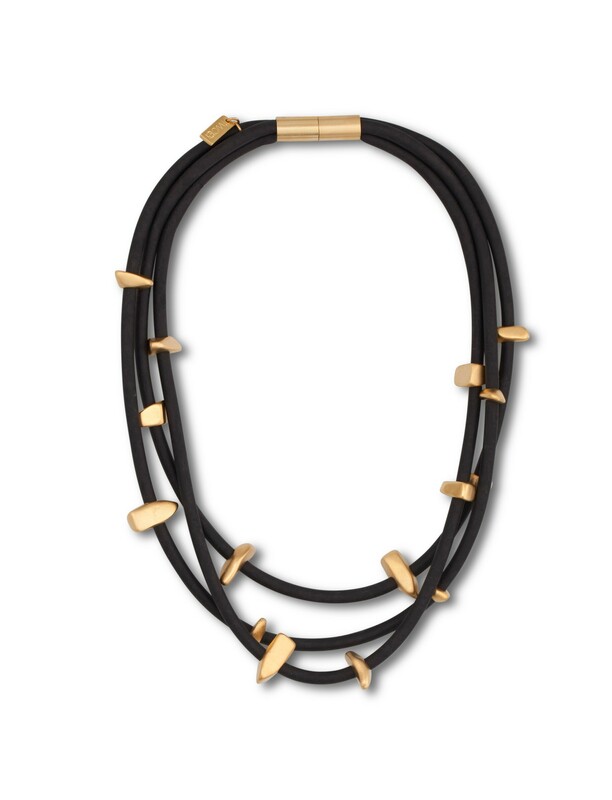 The stones are plated in matte gold coloring, adding to the visual appeal of this piece. It almost feels as though the stones are floating in the air. That's how light and airy this necklace is. 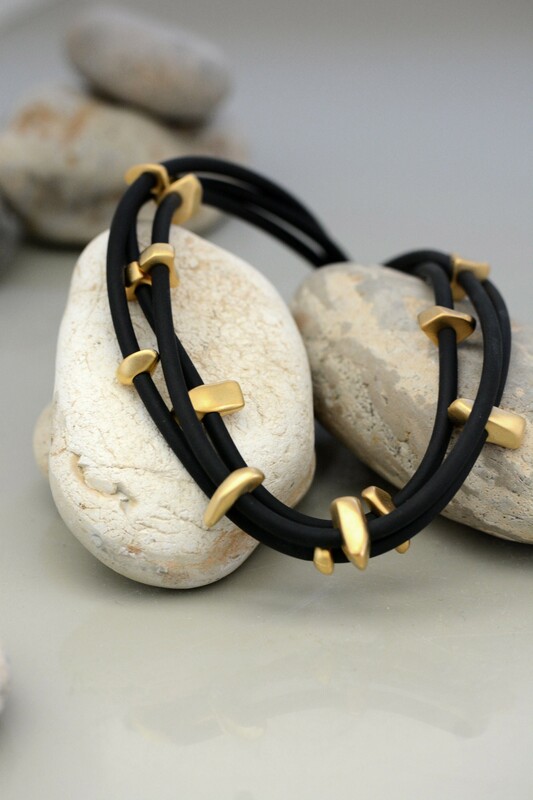 The three pieces of rubber strengthen the overall design, creating an elegant statement piece that you'll love to wear.